WANKULUKUKU – Former Uganda Cranes striker, Brian Umony has joined Uganda Premier League side Express FC on a one year deal. Umony who has been a free agent and out of action since departing Azam FC a few years ago following a leg fracture. He trained with KCCA FC early last year but a move to the Kasasiros failed to materialize after his medical team advised against signing for a club which uses an artificial turf. The dreadlocked striker is now likely to be among the new players the club will unveil on Friday, 25-01-2019. 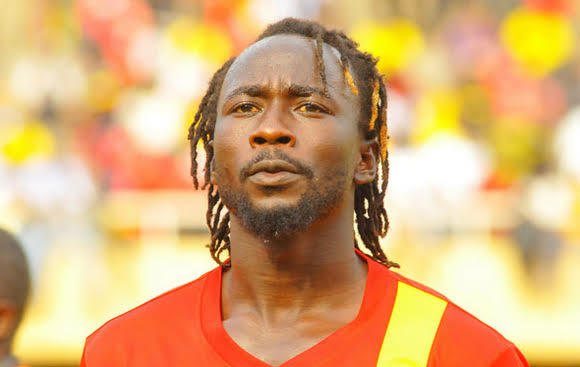 Umony was at a certain point one of the most lethal strikers in the CECAFA region, winning the 08/09 League MVP accolade as his KCCA FC side won the League. Express has been averaging a goal per game, a statistic that does not look pleasing for a club of their stature. With Tony Odur and Eric Kambale already at the six time champions, the Red Eagles may just have solved the goal scoring issue. Kefa Kisala’s charges have also added midfielder Frank Tumwesigye Zaga on loan from Vipers.